One of the allies we have that can help us prevent cold is food. 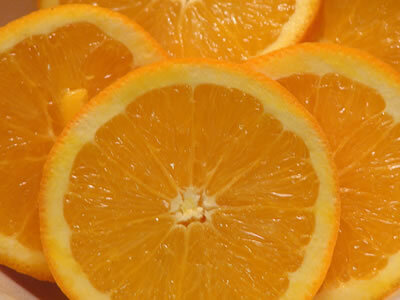 Probably you heard many times so far that vitamin C can help prevent a cold. This is absolutely true. Besides vitamin C there are also other food and nutrients that can be included in our daily diet to help us prevent, minimize the effects, the duration and symptoms of common cold. The common cold is seasonal. The first cases of common cold usually occur in autumn. Regardless of the temperature change or of the weather conditions in most parts of the world, cold begin in early autumn lasting throughout the winter. There is also a new upsurge in the middle of spring. The first symptoms of cold are sneezing, coughing and a runny nose. These may be accompanied by low fever or no fever at all. The common cold is nothing else than a viral infection, which mainly affects the respiratory system. If there is no virus then there is no cold. There are more than 250 different viruses, the most common being the rhino-virus which numbers around 100 different types. As their name implies, these virus enter our organism through the nose and thus are easily transmitted . More generally, the cold is also transmitted through the eyes and mouth. Thus, the virus can easily be transported through a cough or sneezing. There is no specific treatment for colds, but there are ways to cure cold, prevent or even minimize the chances of occurrence of a cold. Food can be one of our allies that can help us to prevent a cold. Some vitamins can play a significant role against the viruses that cause colds as B-carotene and vitamins C and E. Specifically, B-carotene helps to strengthen the immune system by increasing the activity of protective natural killing cells (NK cells). B-carotene is the most widespread carotenoid, a form of pro-vitamin A contained in foods of plant origin. The most important are fruits and vegetables with deep yellow or orange colour (apricot, melon, tomato, carrot) and vegetables with dark green like spinach, lettuce and broccoli. The vitamin whose name has been associated for many years with the protection and prevention of cold is vitamin C. Vitamin C contributes to the increased production of white blood cells, antibodies and adequate levels of interferon. These are proteins that are key to prevent multiplication of viruses. The main sources of vitamin C are citrus fruits, strawberries, peach, kiwi, cabbage, tomatoes, pepper, parsley, cauliflower and broccoli. A daily diet that includes 5-6 servings of fruits and vegetables, it is possible to meet the needs of the organization in B-carotene and vitamin C.
Finally, vitamin E helps in the production of B-cells, a special class of lymphocytes, which are cells with an essential role in specific defence mechanisms of the body. Good sources of vitamin E are the olive oil and other vegetable oils, the avocados, shrimp, dried fruit and sweets. Another important nutrient for dealing with the cold is zinc. This trace element helps to increased production of T-lymphocytes, which play an important role in defensive action against the cold. The elderly, who several times lack this nutrient from their daily diet, must pay special attention to the consumption of zinc. Particularly good sources of zinc are meat, shellfish, figs, mushrooms, peeled non-cereal and dried fruit. Very good solution also can be fortified cereals. Beyond the specific nutrients, there are certain foods that have connected their name with protection against cold. One such food is garlic. The allicine contained in garlic, has been found by several investigations to have strong antimicrobial action, through the stimulation of white blood cell production. Also some herbs are relevant to the prevention and treatment of the Cold. The most popular is chamomile, which is rich in flavonoid that has been found to have a distinct antibacterial action. But apart from food, there is much talk about probiotics and their action against the cold. The term probiotics refers to dietary supplements and live micro-organisms containing potentially beneficial bacteria or yeasts that are added to the diet through milk or yoghurt and juice. It has been found that probiotics produce proteins and make pathogens inactivate. Also, they are stimulating the production of interferon and interleukin that promote the immune system while stimulating the action of macrophages. A survey showed that consumption of probiotics for at least 3 months decreased the duration of cold episodes while it also decreased the intensity of symptoms. In conclusion, if someone consumes 5-6 servings of fruits and vegetables every day, often uses garlic in cooking and maintain an ideal weight has many chances to prevent cold and avoid all those annoying side effects of it. Finally it is good to avoid the excessive consumption of alcohol because may weaken the immune system and reduce the absorption of important nutrients necessary for dealing with the cold.